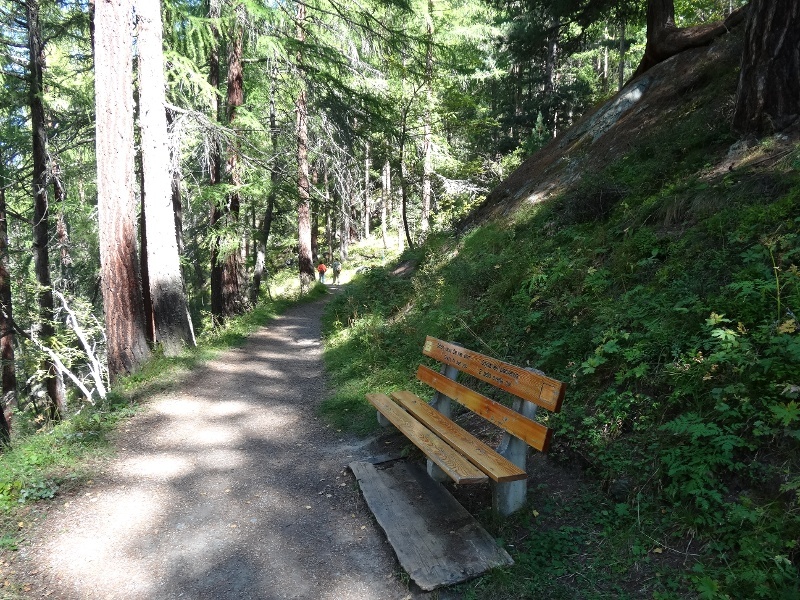 The AHV-Weg (“Pension Path”) is by no means reserved for older walkers. 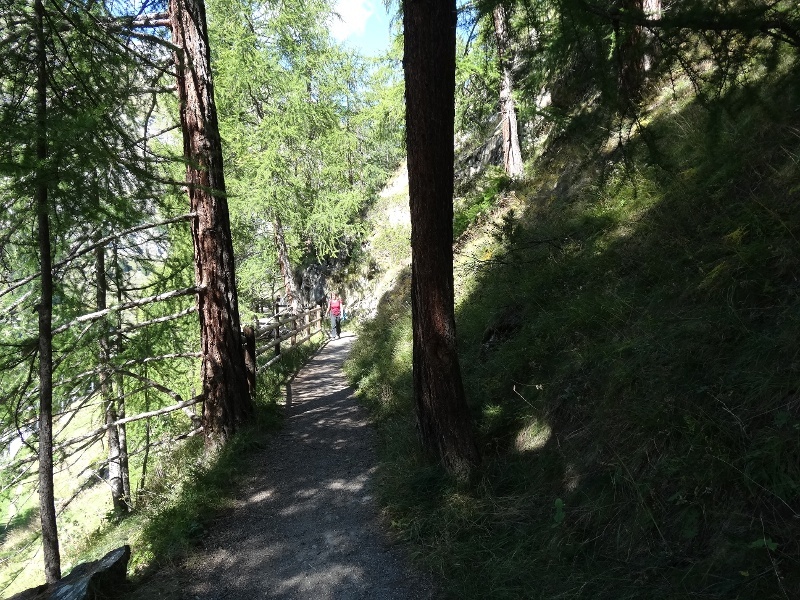 It leads from the Winkelmatten chapel uphill to the tracks of the Gornergrat Bahn: a good chance to see the working mechanism of a rack-and-pinion railway close up. The trail then flattens out, passing a metallophone (like a xylophone of metal). 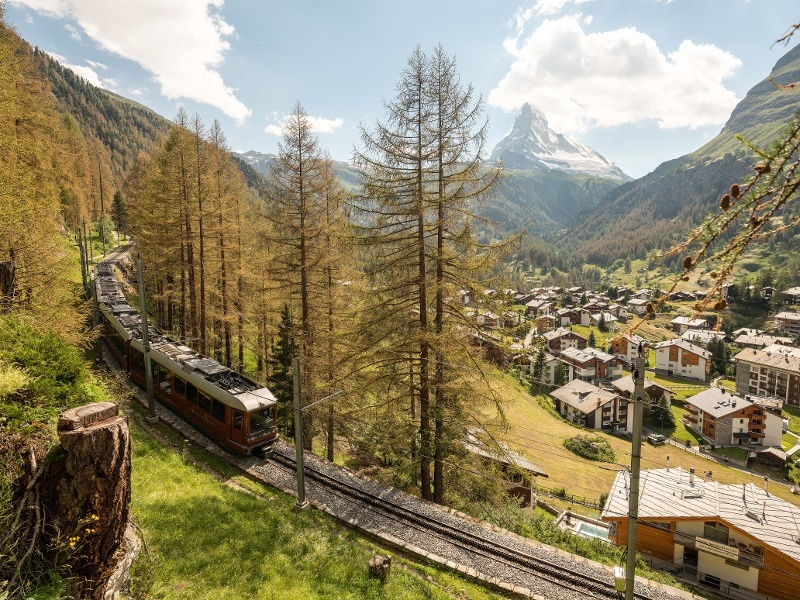 Below, to the left, lie the hotels and houses of Zermatt, offering an occasional glimpse of an interior. Finally the path leads into the forest, and an atmosphere of tranquil seclusion. 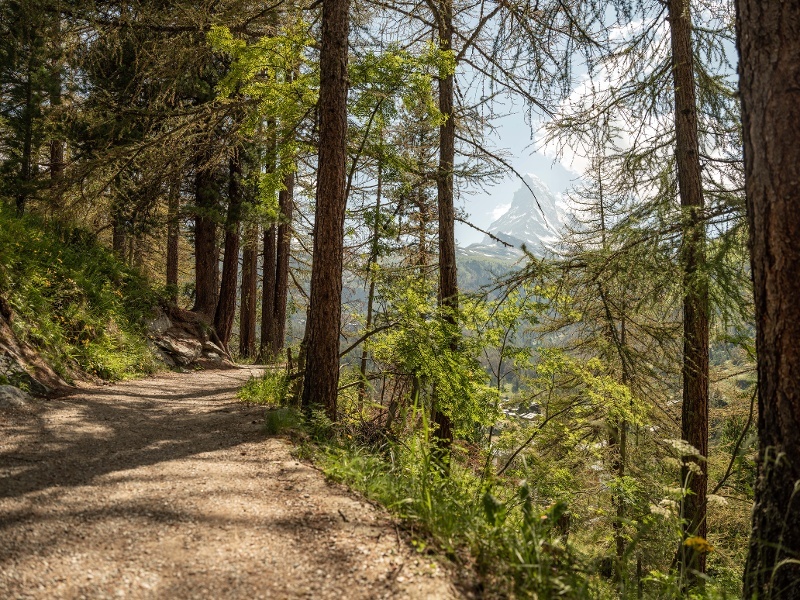 Here, young people of Zermatt have created a discovery trail, and walkers who keep their eyes open will be rewarded with some happy surprises.